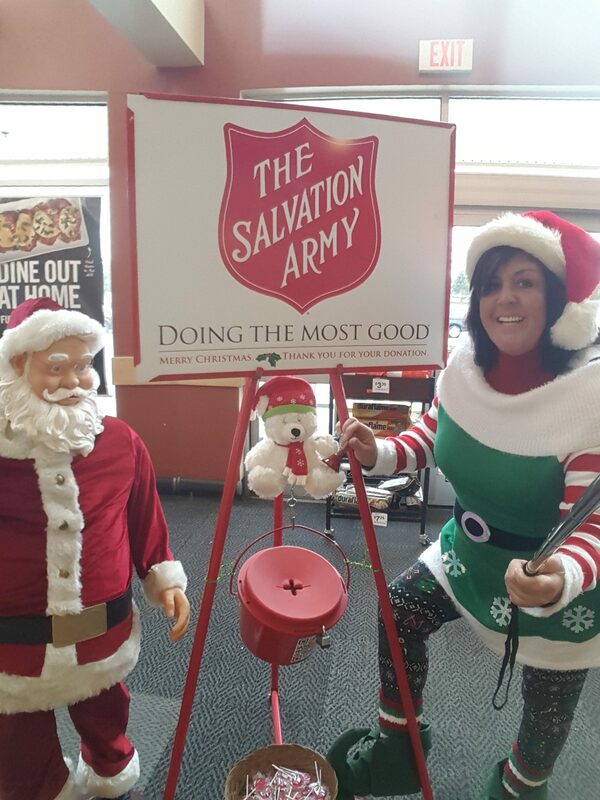 Chris Thompkins has just completed her 7th year as Salvation Army Kettle Coordinator for the Town of Halifax and is delighted to announce that they have raised $6,557.33 for the 2017 holiday season! She sends out thanks to all of her volunteers, those who donated, to Twin Lakes Liquors and the Rockland Trust for their patience, and a special thank you to Stop & Shop for graciously allowing their bell ringers and kettles to be inside, out of the cold, this year! The Halifax Council on Aging will host a volunteer luncheon on Tuesday, Jan. 16, at 1 p.m. at the Pope’s Tavern Senior Center to say Thank You to the volunteers who made the contributions such a success. Please call the Senior Center at 781-293-7313 to let them know how many are coming. In no particular order, Thompkins would like to thank the following: Lynne Towne, Dot and Tom Pease, Pat Farrah, Sharlene Capaccioli and Dylan Capaccioli, Pauline Hughes, Carol Keegan, Carl Faith, Sally Fontaine-Burke, Suzie Fontaine Hopps, Dot Matthews, Cheryl and Jason McCullough, Tanya Little, Diedre Yelverton, Colleen Fiumara, Ashley Seggelin, Jackie Joubert, Susan MacDonald, Sherri Conte, and Jen Olivera. Also: Deb Scioscia, Ketti Martin, Gerry Durban, Martin Tuohey, Tommy Schindler, Kevin Rogers, Marianne Leighton Moore, Phyl Silenzi, Sue Wilson, Jessica Whalen, Dot Martel, Jo Schofield, Avis Arsenault, Mary Ann Davis, Jonathan Selig, Stacey Rancourt, Brenda Pettingill, Ken Vinton, Kerstin Santos, Alicia Salvation, Harley Ann Naphen, Adrienne McDougall, Susan Laidlaw, Kim King, Ashley Bearce and Cheryl Bearce, Brief Margiotta, Amanda Ransom, Cheryl Balerna and girls and Gerri Lambert! Chris says this is a 100% volunteer operation, in conjunction with the Halifax Council on Aging, and helps seniors get out of the house and be involved in the community. She is now ready for a well-deserved nap! 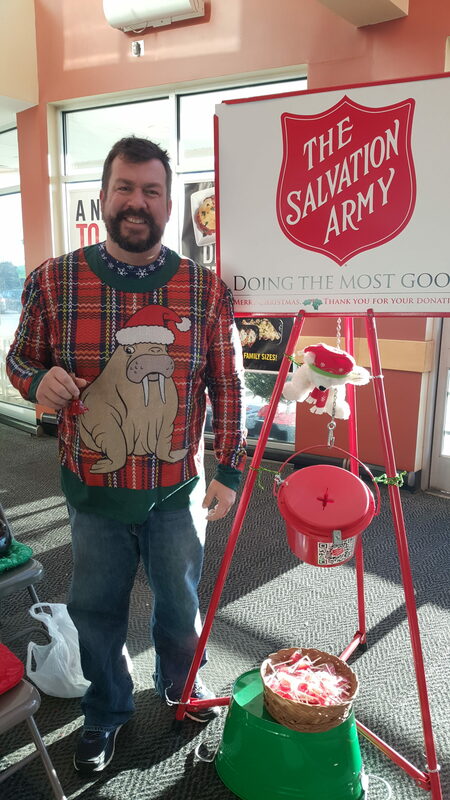 Jonathan Selig of Halifax, well-known to fund-raising, leant his hand to ring a bell to help bring in donations for the Savation Army’s Good Neighbor drive. 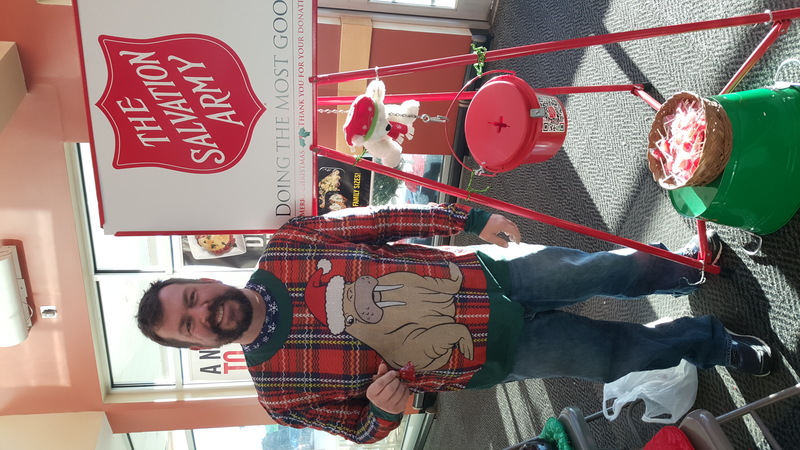 One of Santa’s hardest-working elves, Chris Thompkins, chairman of the Halifax Kettle Drive for the seventh year, got into the holiday spirit with St. Nick himself! 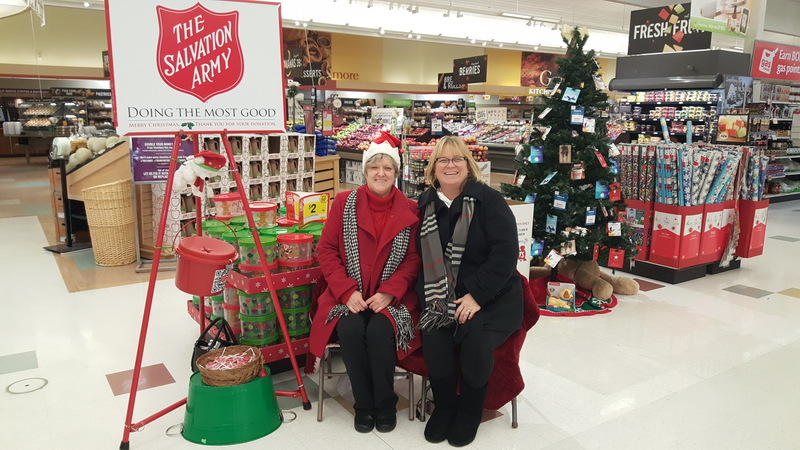 Sue Wilson & Phyl Silenzi team up to collect donations for the Salvation Army.